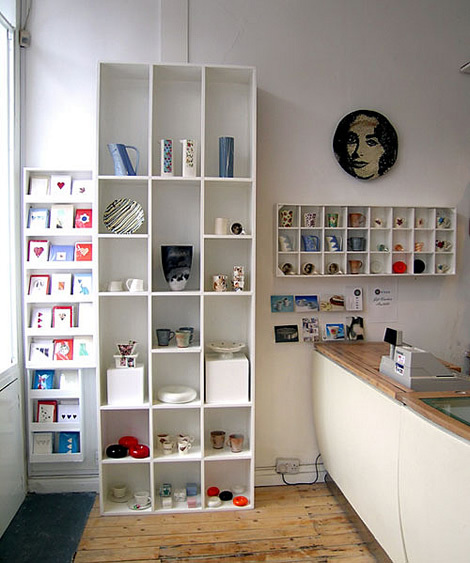 Hanne Rysgaard was born in Denmark and for the past 11 years, has enjoyed life in the UK as a ceramicist. Her hand thrown porcelin isn't just for placing on the shelf, but functional, made to be used daily for morning tea or taking lunch on the patio. The range is thrown on the wheel, using Audrey Blackman porcelain clay, and glazed with a clear Celadon glaze. 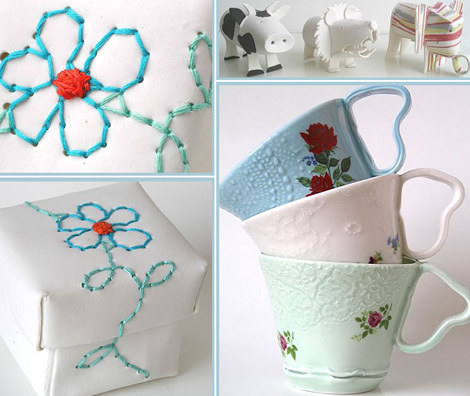 Hanne also creates a complete collection of hand built porcelain, my favorites are the stitched pieces, she embroiders with silk yarns through pierced holes, just a hint of color and unique enough without distracting from the beauty of the white smooth porcelin. I'm also fond of the hand built animals, I think they'd be a nice touch for a bookcase, don't you? If you plan to visit London in October, arrange your travels to fit in the Chelsea Crafts Fair October 3-8 (week one) and 18-23 (week two). Hanne will be showing her wares at stand 51 during week 2. 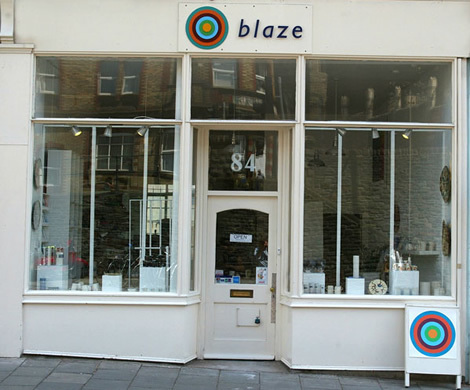 If you can't make the fair, you can find Hanne Rysgaard ceramics at Blaze Studio at 84 Colston Street in Bristol. Perhaps if you sent them an inquiry, they'd ship to your home as well. Looks like a lovely shop, doesn't it?